Product prices and availability are accurate as of 2019-03-22 00:12:59 EDT and are subject to change. Any price and availability information displayed on http://www.amazon.com/ at the time of purchase will apply to the purchase of this product. Get ready to rock until the cows come home! 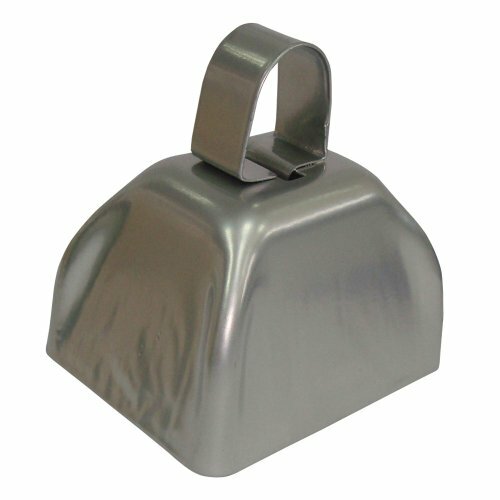 These cowbells make loud noisemakers for New Year's Eve or any time you want to raise a raucous ruckus. Show your love of team spirit. Make some noise for your school or team! Cowbells are 3" Metal. A total of 12 cowbells. Great at a sporting event, game, or party.